Martin has a vacancy for a senior stylist. He is looking for a self motivated, enthusastic hairdresser and stylist who enjoys helping clients to get the style they are looking for as much as he does. Martin is a hairdresser of great experience and team leader / founder of M Harvey Hair. 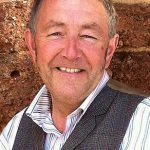 Having successfully run his large city centre salon for 14 years, in 2001 Martin chose to open a more exclusive boutique salon on the historic and beautiful Exeter quayside. Martin is always striving forward in the industry and frequently attends courses, hair shows and competitions to continue his professional development. He like to stay right up to date with the latest techniques, products and trends. If there is one person who is passionate about the hairdressing industry; it is Martin. Karen joined M Harvey as the receptionist in 2005, but she has known Martin for 30 years! She was originally trained as an apprentice hairdresser by Martin a good number of years ago and has a great awareness of the hair industry. Karen will probably be your first contact with the salon and she specialises in making everyone feel welcome and she is great with names and faces! Martin believes in providing an outstanding range of hairdressing skills and services to his clients. To maintain these standards, he is committed to continuous skills and knowledge training for his team.